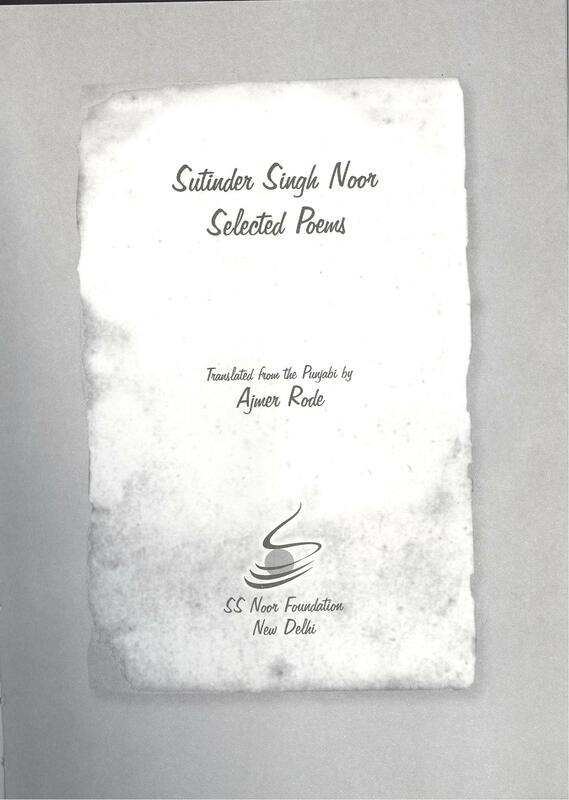 The translation of Sutinder Noor’s poems started rather accidently. Noor gave me his newly published book Aa Mere Naal Galaan kar last year in Patiala. I glanced at the first poem and was intrigued by its title: Shabad-Brahma Number-Brahma. When a word interests me I try to think of its equivalent in English or in Punjabi if the original is in English. A word when put in the context of another language expands and becomes more interesting as it reveals its varying significations in other cultures. The word “word” in English, for example, offers a treasure of conceptual shades including the Biblical phrase, “and the word was God” that is surprisingly close to Shabad-Brahma. Brahma is now part of the English lexicon so I made up the word, Word-Brahma. The translation of this poem led me to continue further into the book. Next two weeks or so I spent in a little cottage appended to Kamaljit & Amarjit Grewal’s house in Ludhiana. Lush plants towered by a maulsari surrounded the cottage, and an October fragrance lingered. It was very conducive to writing. Often I was by myself in the cottage. At times Sawarnjit Savi came and took me out for a bit of vodka and a bite of spicy fish. Amarjit suggested I translate Noor’s selected poems rather than just one book and gave me a copy of his anthology, Naal Naal Turdian. I agreed and made a selection. 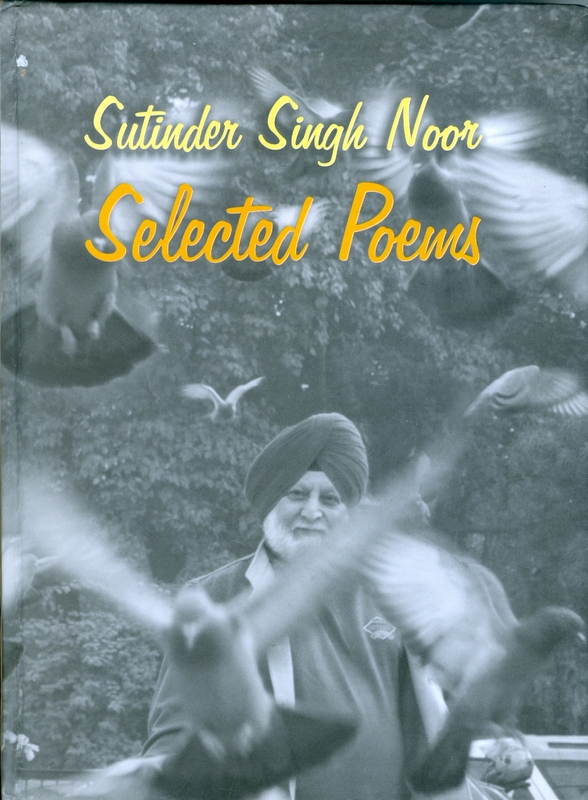 Noor’s poetry lends itself to translation. Most of the poems are little narratives of love, though, not dripping with sentimentalism. He doesn’t care to embellish his poems overly with so called poetic devices nor does he dive too deep into the pool of Punjabi folklore. He is rather reflective in his creative process, coaxes remembered experiences to become poems. Often I heard a call to “make it new” but my intention was to respect the original as far possible. It’s for others to judge the fidelity of these translations. I simply hope it is high enough to convey the spirit of Noor’s poetry I felt translating. Poetry has ever been my first love. When I started teaching graduate classes at the Delhi University the job bestowed a new responsibility on me: teaching Criticism. So I started delving Criticism along with writing poetry. Critical Studies and poetry experienced revolutionary changes in the last quarter of the twentieth century; these changes occupied my mind more than any other endeavor. I read poetry from the four corners of the world. Whatever appealed to me I translated. Japanese modern poetry (Cherry Flowers) and contemporary poetry of Poland were translated in the same vein. In 1990 I somehow took a sharp turn toward poetry. A tension rose between my passion for poetry and responsibility to criticism as I also guided graduate students. Passion made me seek more and more poetry. Eventually poetry became the focus of my critical studies as well. No other genre endears me as poetry does. I write a lot but most of it remains handwritten. I have been tardy in approaching publishers but was lucky to talk to Bhapa Pritam Singh about my poetry. He not only published my poems but also encouraged me to take care of my manuscripts; as well he rekindled my creativity gone dull. Selections in this volume are made by Ajmer Rode, himself a poet. They are a fair representation of my poetry, and it is exciting to imagine them reach a readership beyond Punjabi. I must express my gratitude to Sawarnjit Savi who designed the book with love and accepted it for publication. Where does this way lead to?